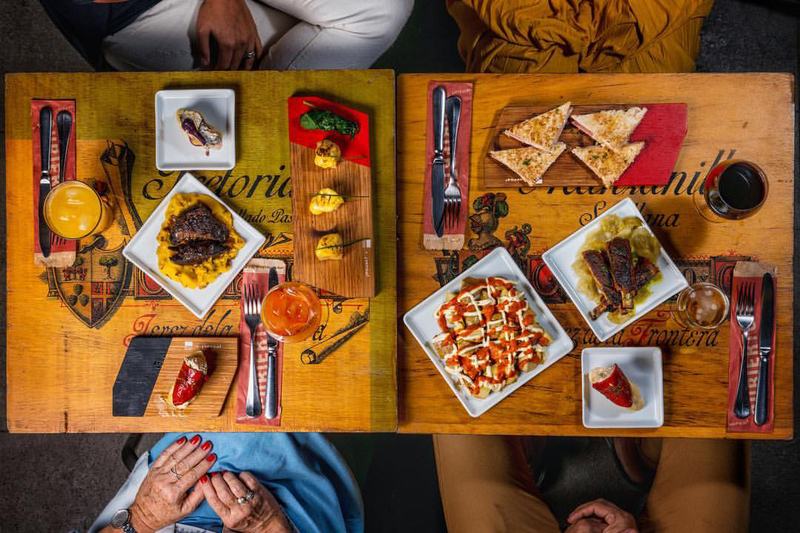 For informal cheap dining, head to one of Rio de Janeiro’s many “botecos” – casual bar restaurants where food and drink provide the focal point for social activity. It is rare for Brazilians to drink without eating. Tapas and other small eats are becoming big news on Rio´s dining scene, too. There are also a few trendy healthy foods if you prefer organic, vegetarian and/or vegan food. Rio’s large immigrant population means there’s an amazing variety of international cuisines – Lebanese, Japanese, Spanish, German, French and Italian are among the standouts. There’s also an equally broad selection of regional Brazilian restaurants. This restaurant became one of the references when it comes to healthy food. It offers a great variety of salads and different combinations (single, dual or tri-mix), which may be accompanied by grilled meats, quiches or pies. The restaurant also offers soup options, crepes, sandwiches and desserts. Considered to be the best Tapas bar in town, it serves the traditional Spanish-style small eats in a relaxed atmosphere. Spicy sausages, hot potatoes and delicious imported cheeses are among the tempting options here. The menu focuses on burritos and pies, prepared with local and organic ingredients. Do not be fooled by its simplicity! Although many Mexican dishes consist more or less the same ingredients, the recipes used in Azteka are executed perfectly, combined to create amazing flavors. If you like Eastern food, this is the place. The merit of this restaurant is that it creates reinterpretations of classic eastern dishes with local ingredients. It also offers customers a sophisticated and cozy atmosphere. It has an old fashioned environment, friendly waiters, great quality meat and always a small wait at the door on the weekend. The food here is always good and abundant and with very reasonable prices. The specialty of the house is the barbecue.